There’s a high school event more exciting that Minnesota’s fabled boys state hockey tournament? While the Section 6AA playoffs don’t have the nationwide cachet of the state tournament, Minnesota hockey fans are well aware that this prelude to the granddaddy of all postseason prep events is more than a mere warmup act. Some might even say the appetizer trumps the main course. 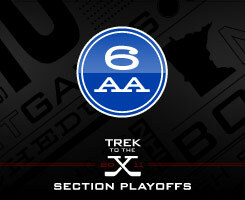 Barring upsets, the section semifinals on Saturday, Feb. 26, will feature No. 1-seed Eden Prairie against No. 4 Minnetonka and No. 2 Wayzata against No. 3 Benilde-St. Margaret’s. 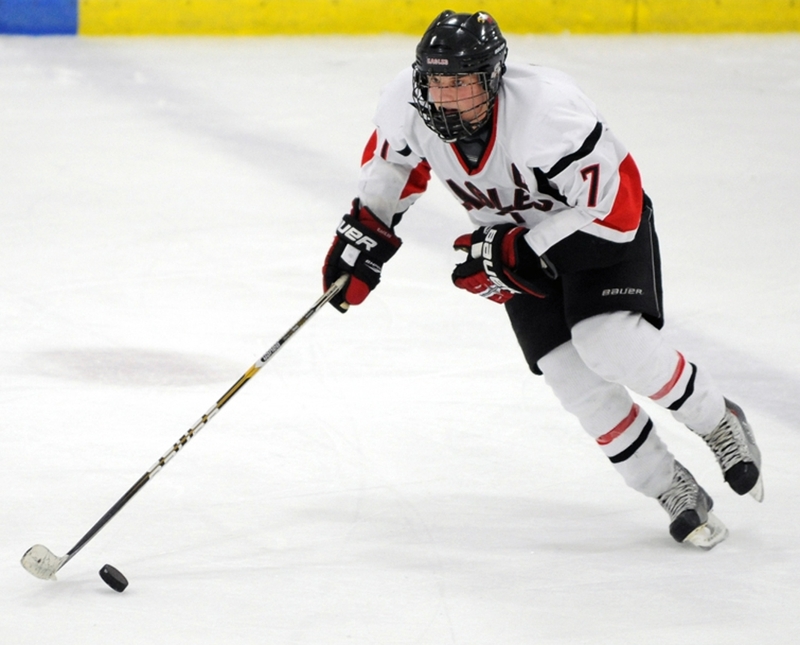 In the Hockey Hub’s final state rankings, Eden Prairie was ranked No. 2, Wayzata No. 3, Benilde-St. Margaret’s No. 5 and Minnetonka No. 8. The defending section champion Skippers (16-7-2) have had their ups and downs this season, but when they have two and, even better, three lines revving at maximum RPM they are extremely difficult to handle. Eden Prairie beat Minnetonka 4-2 in their first meeting, on Jan. 27, and the teams played to a 3-3 overtime tie in the rematch on Feb. 12. 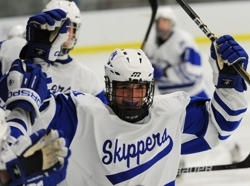 Sophomore Vinni Lettieri led the Skippers with 37 points (15 goals, 12 assists) and junior Erik Baskin, who has a knack for scoring clutch goals in big games, led Minnetonka with 20 goals. Eden Prairie lost to Minnetonka in the Section 6AA finals last season, but the Eagles are coming off a stellar regular season in which they won the Lake Conference title. Eden Prairie won the state Class 2A tournament two seasons ago with a kiddie corps of sophomores that is now all grown up and making its final push for another title. Senior center Kyle Rau (33 goals, 36 assists) is a Mr. Hockey finalist and a heavy favorite to win the annual award. He gets plenty of scoring support from Luc Gerdes (23 goals, 23 assists) and David Rath (20 goals, 24 assists). Meanwhile, senior defensemen Nick Seeler, Dan Molenaar and Curt Rau headline one of the state’s most dynamic corps of blueliners. Eagles senior goaltender Andrew Ford (2.71 goals-against average, .886 save percentage) has been up and down this season, but the bigger the game the better he seems to play. Ford is one of two finalists for the Frank Brimsek Award - given annually to the state's top senior goaltender. In the bottom half of the bracket, the likely meeting between Wayzata (18-5-2) and Benilde-St. Margaret’s (21-4-0) might be the best pre-state tournament slugfest of them all. 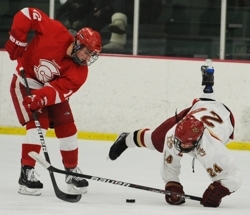 Benilde-St. Margaret’s played every top Lake Conference team except Wayzata, so there’s no recent history on which to gauge this potentially explosive matchup featuring several of the state’s most gifted goal scorers. Red Knights sophomore Grant Besse scored a team-best 29 goals during the regular season, and senior Pat Steinhauser is a superb playmaker who led the team in scoring with 52 points (23 goals, 29 assists). Junior Jake Horton put up huge numbers (20 goals, 24 assists) and, along with University of Wisconsin recruit Patrick Daly (3 goals, 34 assists), gives B-SM a standout set of defensemen. Wayzata counters with the high-scoring duo of senior Tony Cameranesi (15 goals, 39 assists) and Mario Lucia (25 goals, 22 assists). The Trojans have some firepower stationed at the blue line, too, as senior defensemen D.J. Jones (5 goals, 24 assists) and Marc Richards (9 goals, 17 assists) help form a deadly power-play unit. Surprised? Eden Prairie and Wayzata play in the heavy hitting Lake Conference and are the top two seeds, but the Red Knights have the firepower to outscore any team in the state. The Skippers were not playing their best to end the season, but if sophomore scoring stars Vinni Lettieri and Max Coatta are fully revving, this is a team capable of knocking out Eden Prairie in an expected semifinal showdown.